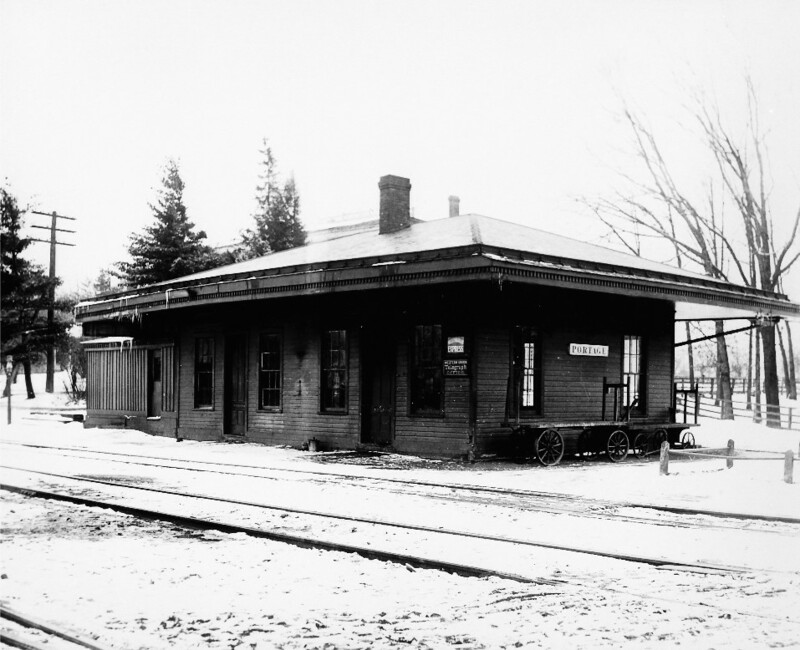 The Portage Bridge Station was the Erie railroad station found at the east end of the Portage Bridge. These two images were taken from negatives. 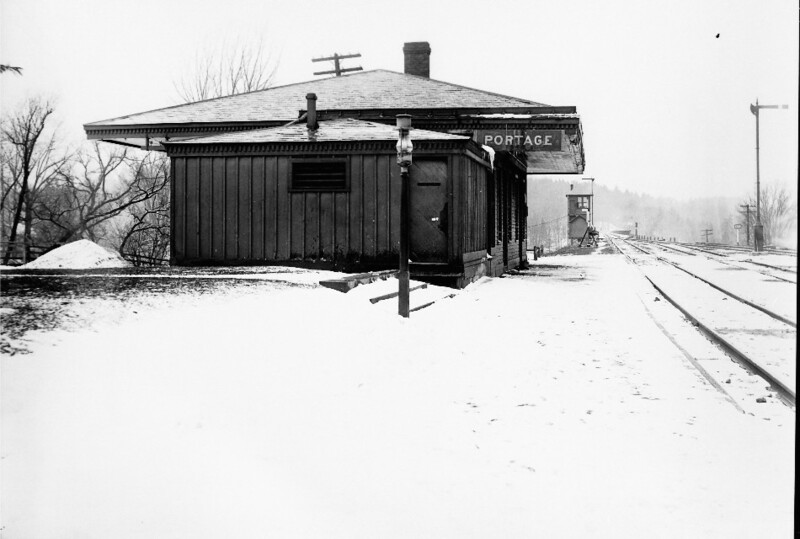 The station closed in 1952 - the image may have been taken before 1930. The building is now gone.The station can also be seen in Image 47. A closeup of the tower seen in the distance is found in Image 181.